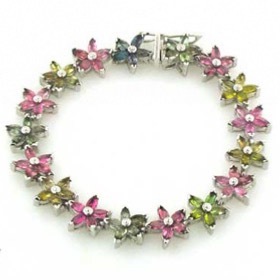 This stunning tourmaline star flower bracelet is unique. 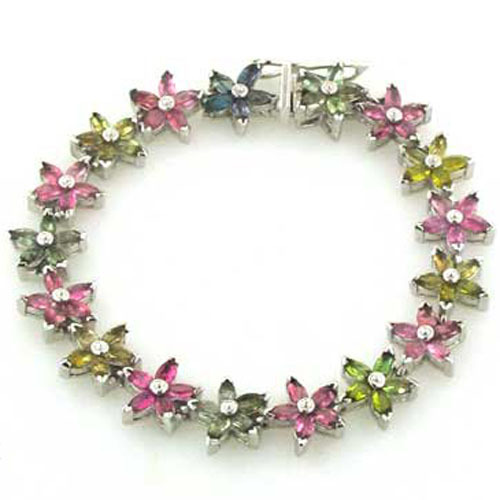 The tourmalines are lively, clear, faceted gems - fabulous on the wrist. 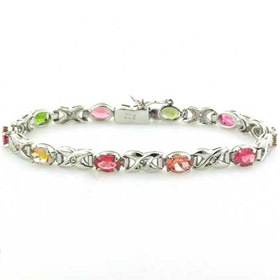 Featuring many gorgeous shades of tourmaline gemstones - yellows, blues, greens and pinks - it will suit numerous outfits. 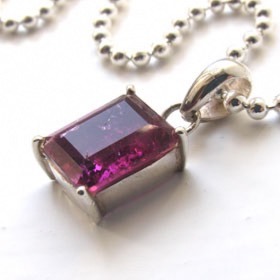 Tourmaline is found in a wide variety of colours. 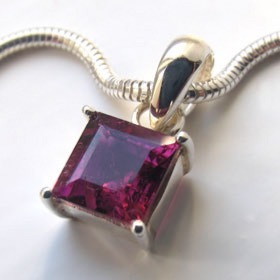 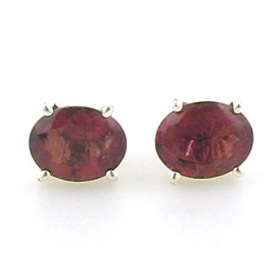 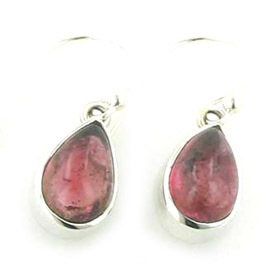 For more information about tourmaline see About Gemstones. 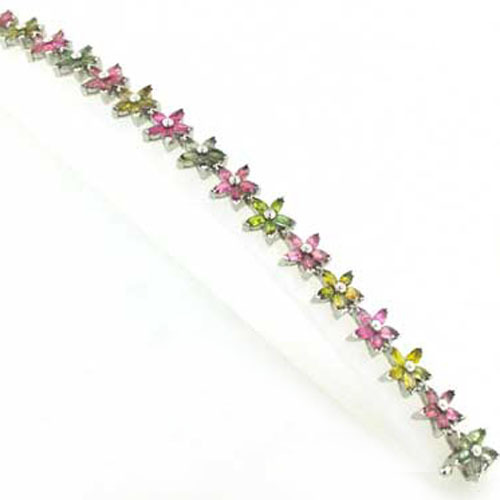 The bracelet is hand made and fastens with a safety catch. 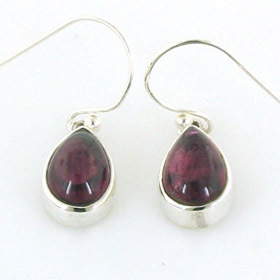 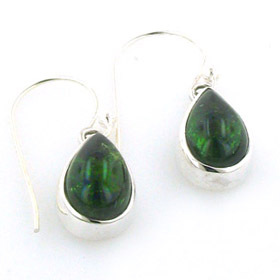 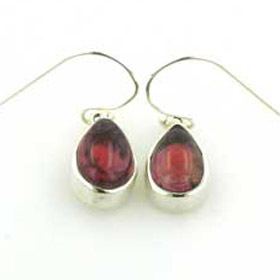 Make a set with our tourmaline pendants and tourmaline earrings. 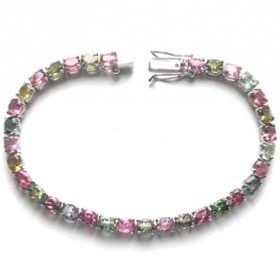 Our tourmaline bracelets feature natural genuine tourmaline gemstones. 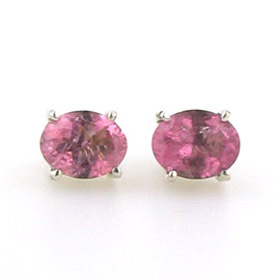 Tourmaline is the October birthstone.